The visitors center hosts displays and programs. “A Contrast in Time” slideshow takes you on a six-minute journey through time. The din of pumping wells and shouting men in the 1860s contrasts with the rustling leaves in a gentle breeze in present day Oil Creek. 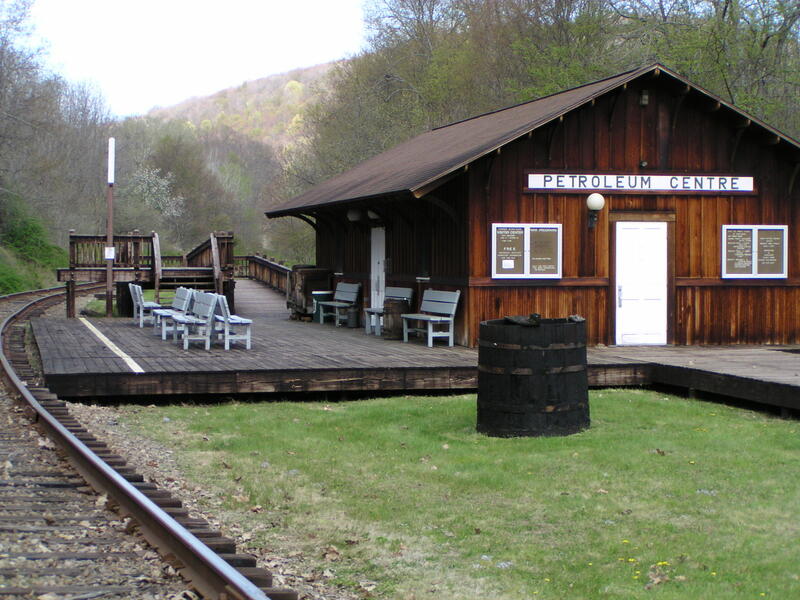 The train station is open 11 a.m. to 5 p.m. Saturdays and Sundays during the summer season. Visit the Train Station Visitor Center for historical displays, an exciting diorama and an interactive computer information center. A train still chugs through the valley and stops at the Train Station in Petroleum Centre, just as it did over 100 years ago! The train operated by Oil Creek and Titusville RR offers excursion trip through the park. Paula, a park volunteer, works at the visitors center during the summer season. Copyright © 2012-2018 Friends of Oil Creek State Park.